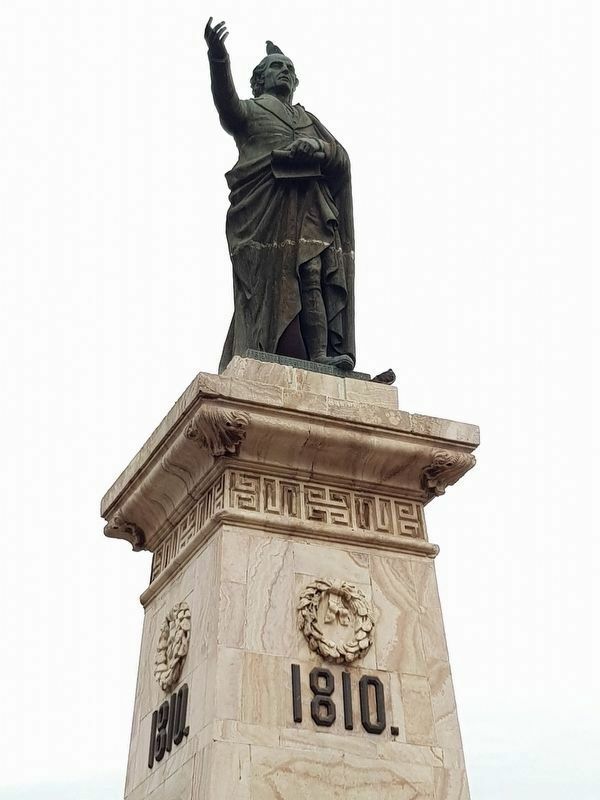 The monument is interesting in that Hidalgo's fame means that it was not necessary to actually place his name on it. 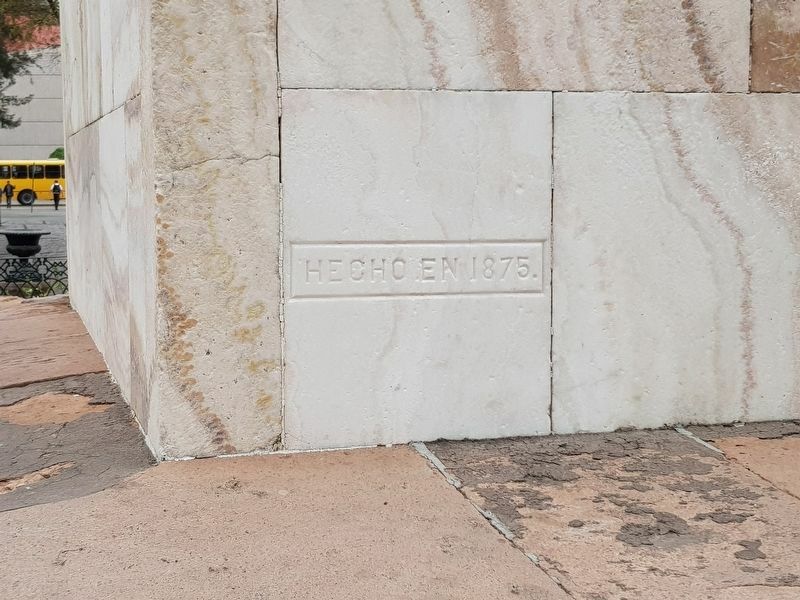 The inscription "1810" refers to the beginning of the Mexican Independence struggle. siendo Gobernardor el General Carlos Diez Gutierrez. 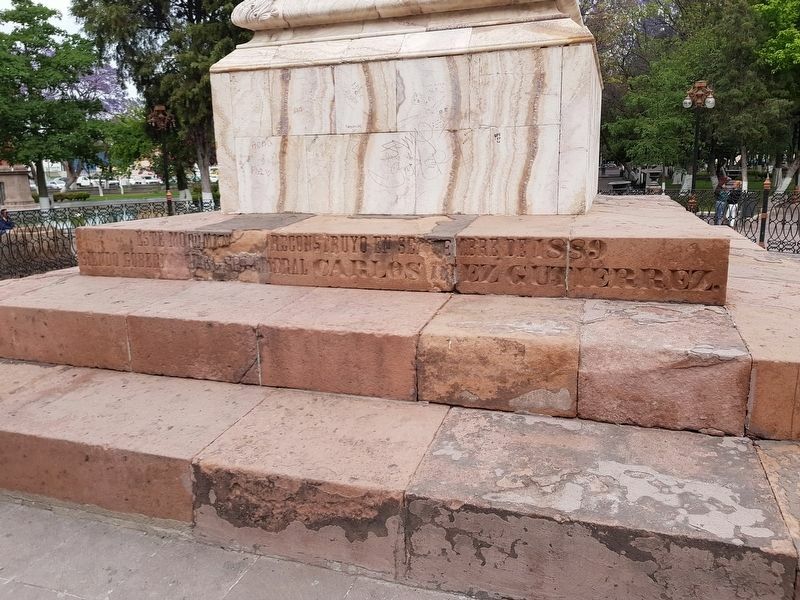 This monument was reconstructed in September, 1889 under Governor General Diez Gutiérrez. Location. 22° 9.101′ N, 100° 58.267′ W. Marker is in San Luis Potosí, San Luis Potosí, in Municipality of San Luis Potosí. Marker can be reached from Manuel José Othón just west of Juan Sarabia Oriente, on the left when traveling west. Touch for map. Marker is in this post office area: San Luis Potosí 78000, Mexico. Touch for directions. (approx. 0.3 kilometers away); Museum of Masks (approx. 0.3 kilometers away); Tribute to the Heroes of Mexican Independence (approx. 0.4 kilometers away); San Agustin Temple (approx. 0.4 kilometers away). Touch for a list and map of all markers in San Luis Potosí. More. 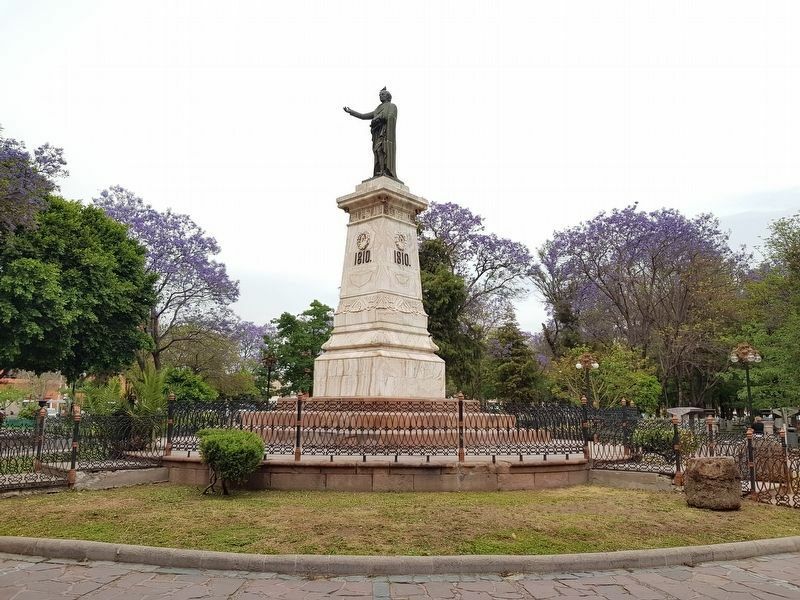 Search the internet for Monument to Miguel Hidalgo.